Not only are big face watches for men easy to read when you are on the move or in a rush, but they are also trendy and feel substantial when sitting on wrists. While some watches need to have a large face simply to accommodate all the bells and whistles added to many modern day watches, other watch manufacturers simply manufacture larger face watches because that is what their consumers want. 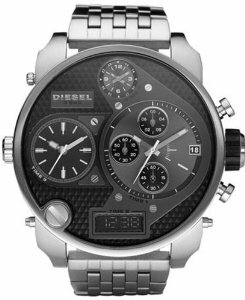 Diesel is an Italian design company best known for its high end and trendy clothing styles. The Diesel Men’s DZ 7221 SBA Silver Watch is the perfect accessory for men who like dressing in style. The Diesel Men’s DZ 7221 SBA Silver Watch offers a modern look with its different dials and knobs. While this watch is great for people who enjoy knowing the time in various time zones, it may be a little busy for those who are looking for a simple easy to read watch. Several customers were slightly disappointed over the fact that this watch did not have a light that let them read the face at night, and a couple of customers also complained that some of the watches were not as water proof as the company claims. But overall, the majority of customers were very impressed with this big face watch for men and were more than happy with it. For over 150 years, Timex has been making quality affordable watches for both men and women, in styles that suit almost every taste and budget. 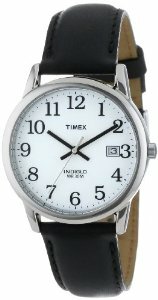 The Timex T2H281 Easy Read Watch is a great big face watch for an extremely low price. The Timex company and its products have certainly withstood the test of time, and one look at this large face Timex watch will tell you the reason why. While this watch may lack some of the bells and whistles of today’s newer watches, it’s classic design and easy to read face, combined with a highly affordable price, makes it one of the most popular men’s watches around. Reviews for the Timex Men’s T2H281 Easy Read Watch are extremely positive, with most customers feeling that this watch meets their daily needs, while giving them real value for their money. Some customers did state that they felt the date window was quite small, especially considering the size of this watch face, and that the second hand, while handy, was extremely loud. But overall, customers really loved this easy read men’s watch, were delighted with the low price, high quality finish, and felt they good very good value for money. The U.S. Polo Assn. Brand is managed by USPA Property Incorporated (which is owned by the Polo Association), and includes clothing, accessories, and other authentic items approved for manufacturing and sale by the U.S. Pole Assn. The U.S. Polo Assn. 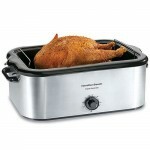 White Men’s Sport Analog-Digital Watch is one of the accessories sold by this Association. This watch has a very futuristic design that you could picture all the crew of a starship wearing, if watches are needed in the future. It is a very impressive watch, with wonderful features and an eye-catching design that is sure to attract a lot of compliments. One customer did have problems with the strap breaking right out of the box, however, none of the other customers seemed to have this experience. 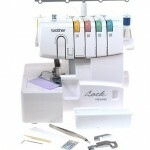 All in all, customers were really happy with this match and felt it met their needs perfectly. The Invicta Watch Company was born in Switzerland in 1837, and in 1991 was purchased by the United States investment company and renamed the Invicta Watch Group. It is now headquartered in Hollywood, Florida. The Invicta Men’s 1517/ “Force” Collection Stainless Steel And Cloth Strap Watch has several interesting features. The large white numbers on the black face really stand out in a rather elegant manner, while the red second hand is extremely easy to see. This watch looks as though it would be perfect for either casual or dress wear. Reviews for the Invicta Men’s “Force” Collection Stainless Steel Watch are very good, with customers liking almost everything about this watch. Some customers did feel that the date window on this watch is exceptionally small and difficult to read, and that the strap is not of the best quality. But apart from that, the majority of customers were really impressed with this men’s big face watch and loved everything about it. Founded in 1993, Nautica provides a variety of apparel and accessories for men, women and children. It is hard not to be impressed with a watch that comes in such a stunning shade of blue. However, the beautiful color aside, this watch really is super elegant looking, and seems to be from good quality materials. 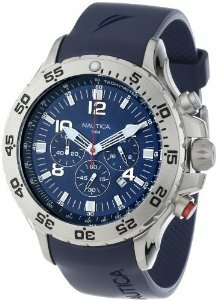 Reviews for the Nautica large face watch are quite good, with most customers really liking the style of this watch. A few customers found the watch slightly on the heavy side, and felt that the date window was too small for such a large face on the watch, but overall, they felt this watch was very good value. While not every man in this day and age chooses to wear a watch, those who do like the big face watches for men, and find them both trendy, elegant and highly attractive.